Home » Computers and Internet » How Would You SKU Windows 7? Fellow Windows buff and columnist, Mary Jo Foley had a very interesting column today. 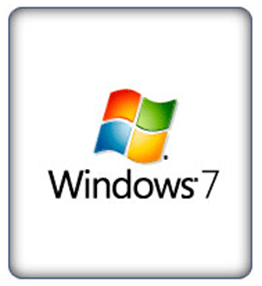 It seems that Microsoft is going to release six (6) different Windows 7 versions or SKU’s when the operating system finally hits the streets later this year or early next. That’s very close, if not exactly how, Vista was released just over two years ago. The decision, as you may guess, is causing quite the uproar with many, yours truly included. As Mary Jo says, Microsoft just isn’t going to reintroduce the 2 SKU line up, like they did with Windows XP (Home and Pro editions). They have taken too many hits for being too inflexible, and it seems six different editions, providing some variety, is they direction they are headed in. However, that’s being met with a lot of issues. Some potential Win7 users are suggesting an a la carte methodology. In that setup, you install the base version, go through the install, and then pay for the additional features you add to your installation. While that may seem desirable, from a support perspective, its a nightmare. The menuing paradigm is nice, what we’re likely to wind up with at that point is a single version of Windows that costs, like, $499, that NO ONE will be able to afford or want (and will likely pirate the crap out of), if we even get it. From support perspective, its going to be a nightmare, as who knows what features are going to be added/pared with which features, creating a bazillion different “versions” of Windows, that even Bill Gates couldn’t imagine. But, here’s the biggest driver for the 6 different SKU’s, in my opinion – MS still wants to charge a premium price for their OS. If they want to be successful now, they are going to have to seriously reevaluate margins for these SKU’s. In this economy, if Windows 7 is just as expensive as Windows XP/Vista, the number of copies sold at retail, compared to both XP and Vista are going to drop like a rock. Interestingly enough, I think the same can be said for Apple, who’s OS, while more affordable at $129, without Activation/DRM, has a EULA that requires the OS to be run on Apple hardware ONLY, which comes at a HUGE price premium. However, they seem to be doing something right, as their market share is now estimated at 8-10% of the PC market (world wide?? ); so its definitely growing. With the way things are going to be going, I think that pricing for these SKU’s is going to dictate how many copies get sold legally and how many get pirated/cracked and downloaded via bit torrent apps. Even at $200-$300, most of us can’t afford to lay down that kind of money for an OS (full or upgrade) when we’re having to consider pay cuts just to keep a job. If Billy G. and Stevie B. want to gain back share, or want to insure that people move to Windows 7 when it IS released, I suggest they adopt a price structure closer to Apple’s: $130-$175 a copy. (stratify that price range among the remaining 4 SKU’s in the middle any way you like). But, I’d love to hear what everyone else has to say. Why don’t you join us in the discussion, and tell us what you think?